Irish Writer, Poet, Classicist, Spokesman for Aestheticism, and Atheist. Known for his biting wit, flamboyant dress, and glittering conversation. True or false, the great playwright, poet, novelist and essayist went first. 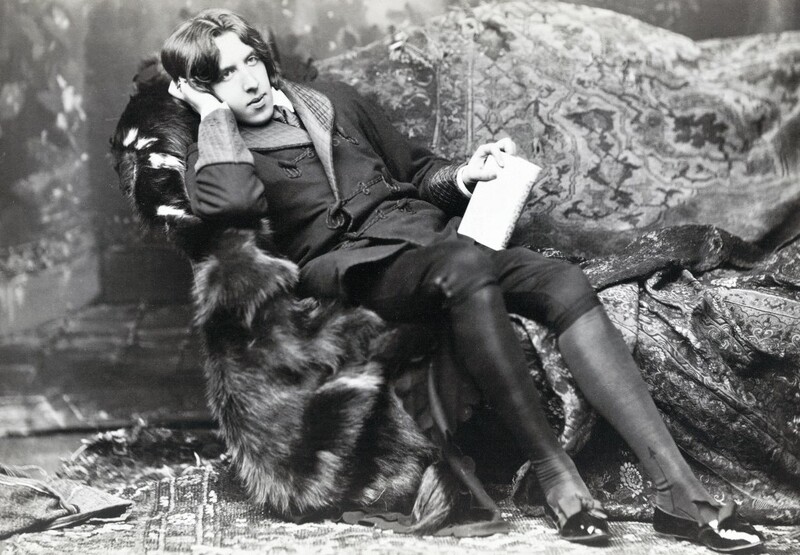 Oscar Wilde drew his last, labored breath on Nov. 30, 1900. He was only 46 years old. Ever since that moment, literary scholars, doctors and Wilde fans have argued about the precise cause of his death. This entry was posted in Anti-Authoritarianism, Antitheism, Atheism, Books, Censorship, Consciousness, Critical Thinking, Enlightenment, Freethought, Humanities, Intellectualism, Literature, Oscar Wilde, Quotation, Reason, Writing and tagged Oscar Wilde, reason by AlwaysQuestionAuthority. Bookmark the permalink. Probably died rather than face the prospect of decades listening to the moronic, greedy conservatives of his day. I see the wallpaper as quite symbolic of the moronic, greedy conservatives of his day; one or the other had to go.